What are you doing to help yourself reach your goals this year? around what successful businesses and successful people do to bring goals (and dreams) into reality. As I write this post I keep thinking to myself. “Scrap it”. “People don’t need to read this!” Because, what I’m writing is fundamental information. when I was a manager in the corporate world, most of my colleagues never made use of this little exercise I’m about to share. They’d just take the goals passed on to them by the CEO and run with them, without any further planning. Working with individuals one-on-one, I notice most people don’t take advantage of this process in their personal life either, even though it can help them to have the future they dream of faster and with greater ease. you need to take a little time to write out realistic goals, and make a plan on how to reach them. planning how to reach them through smaller, more measurable, steps takes a relatively small time investment that provides exponentially large returns. at the end of the financial year – in October. They set goals for the entire next year, and for each quarter. They then take regular measurements to see if they’re on track, and make adjustments if they find out they aren’t moving in the right direction. at the beginning of the calendar year – in January. But they usually don’t set quarterly goals, or any shorter-term goals by which to measure movement towards success. And that’s where they go wrong. 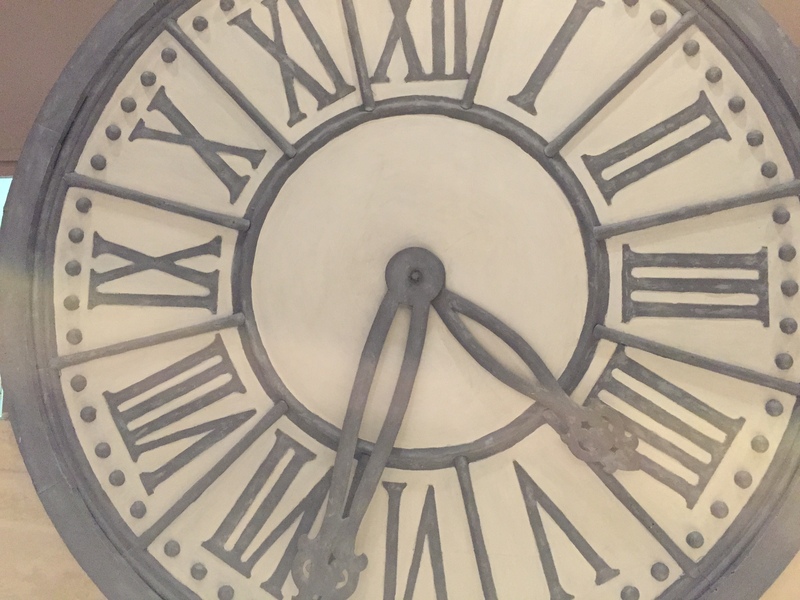 Personal goal setting and planning for the year can take as little as 20 minutes. Of course, the more goals you have the longer it can take, but I suggest you set aside half an hour. Sit down with pen and paper in a comfortable atmosphere where there’s good scenery to inspire your visions. Then reach for the stars in your mind, and with your feet on the ground, write it all down! that helped me survive – and thrive – in my first directorship position (managing 90 people and 6 departments) in a 5- star hotel’s spa and fitness center. If I hadn’t learned it, I’d have been lost – swimming in a sea of “to-do” lists. Since then I’ve made some small changes for the better with the help of some exceptional coaches I’ve had over the years, and it is still what I use today. I help personal clients reach fitness and health goals with a similar system. Our work together reflects the plan I’ve set according to their goals in this way. All of my students in the online group course Mind Body Blast work with me individually at the outset of the course and learn how to set and plan their own goals. Since they only have 6-weeks to make major changes, I give them the tools I feel are most important for success. If you’d like me to guide you personally through this goal-setting exercise, get in touch with me and let’s set up a phone appointment. Many people feel it’s helpful to set goals with a coach. Otherwise, read on and get to it yourself! These are the first steps towards success in any goal. Give them a try and see how well it works for you. 1. Look at the past year and list your biggest accomplishments. It’s always a good idea to start out with the positives. This review will highlight what worked for you and what is still working. You’ll want to do more of these things and expand on these areas, in the future. 2. List your biggest failures in the past year. This will help you to zero in on what hasn’t worked, and why. You’ll want to steer away from these practices in the future. 3. Plan your year ahead. 1. Write down your big goals. 2. Write down the smaller steps you’ll need to take in order to reach each big goal. Break it down as much as possible – but you don’t have to have it all figured out. 3. Buy or print a month-per-page calendar and write each big goal on the date that you want to reach it. 4. Put the smaller goals into the dates on the calendar where they’ll need to be met in order to reach the big goal on time. 5. Step back and look at the calendar from the big picture point of view. Does it look realistic? If not, shift things around until it does. 6. Revisit your yearly goals regularly (at least once per quarter). Follow your plan throughout the year, making adjustments as necessary. Revisit your shorter, monthly goals every day. 7. Be nice to yourself – most things don’t go according to plan! We can only control our own side of things. So, when things fall off track, simply readjust and keep looking ahead. It’ll be incredibly satisfying to look back at your calendar at the end of the year and see how much you’ve accomplished. Since every day adds up to your year, each day really matters. In the next post, I’ll share a little bit about how I coach clients to be most productive and efficient in their day -to-day life so they have time workouts and healthy eating in their schedule. Writing down goals and sharing them with others brings them out of your mind and into reality. Feel free to share your goals in the comments section below if you want to get started immediately. You’re going to be GREAT in 2015! By the way, if you’re planning on making some changes to your health and fitness practices this year, I’ve got two programs that can really help. If you want to start taking very small steps towards better nutrition and exercise in your daily life. If you have a fitness routine and a pretty good diet, but have gotten very busy (with life’s expected and unexpected events) and don’t want to lose ground. 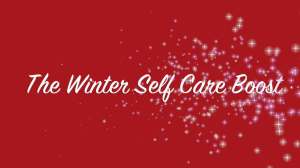 In the Winter Self Care Boost you’ll get a lot support and encouragement in practicing little secrets to avoiding sugar overload, manage cravings, and reduced stress to stay positive, healthy and balanced. This is an easy, no-pressure program that you can take in the comfort of your own home, and you can start at any time. The course will close at the end of March. Well, because, it’s a winter self care boost! If you want to really ramp up your exercise and clean up your diet with the help and support of an expert leader (me) and peers. You can take Mind Body Blast on your own time, in the comfort of your own home. Take the 6-weeks course with a group starting this January 18, and get a whole lot of motivation and support for change in 6 weeks. Or, take your time learning and growing to your highest fitness and health potential with a monthly membership at a very low cost. This course changes with every iteration. If you’ve already done the course with me and you need a refresher, come on in (and don’t forget your alumni discount). In fact, as of the spring, we got a whole new website.